I've become obsessed with can coozies. I know, that may sound weird but hear me out. Summer is right around the corner, which means drinking beer and hanging out. In comes the can coozie, one needs this item to keep your drink cold. So I've been busy lately creating some fun coozies and I thought I'd share them with you all! Looking for coozies for your entire bridal party?! Please comment or email me for pricing and availability! Looking for some coozies for your honeymoon or just a random weekend!? Being from St. Louis these two teams are what we live for during baseball and hockey season. Perfect for any occasion at all! 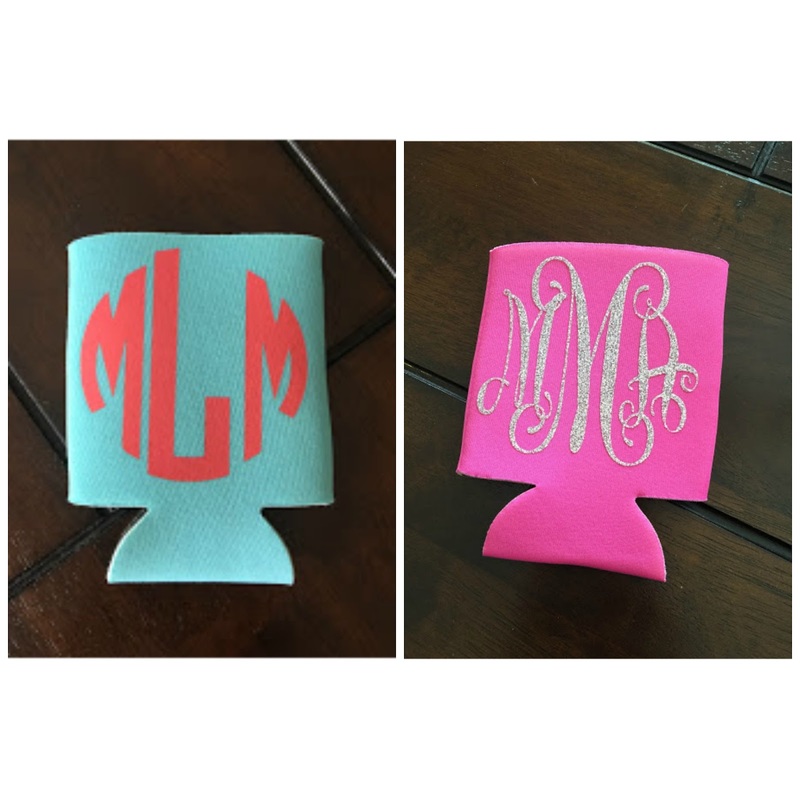 To order these super personalized coozies, please email me at mmlarose30 (at) gmail (dot) com for colors and monogram styles. I have officially completed the Whole30 challenge! If you want to catch up on my thoughts during the first half of this journey you can read it HERE. It's okay, go read it, I'll wait. The first half of this challenge I was figuring everything out. I tried a few Whole30 approved recipes for dinner, taking fan favorites and manipulating them to fit the guidelines of what I could and could not eat. They were good, at least I was okay with most of them. What I did from the half way point on, stripped everything down and made it super simple. Breakfast and lunch were easy. I am simply a creature of habit so I at THIS every day for breakfast. For lunch I stuck to a simple salad. I whisked all ingredients together in a small bowl and separated in half for two days worth of lunches. As far as the meat I put in the salad it just depended on what was on hand. I would thaw a salmon fillet and bake it or some left over pulled chicken or turkey from dinner the night before. Topped it with veggies and/or fruit, depending on how I was feeling that day. For dinner we went basic. This way I could top my food with whatever I wanted and my husband could go all out with what he wanted. Our basics were the same and we went from there. Snacking was super simple as well. Pizza for him and eggs for me. Some may call that mean, I say I have major will power to say no to IMOS. Now that this journey has ended I feel a lot better about where I'm at health wise. I have a lot more energy, I feel better on a daily basis and all around I'm happier with myself. I am absolutely going to continue eating healthier from this point on as well. I would also HIGHLY recommend this challenge to anyone who is looking for a healthier way of life. It was a really great place to start and now that it is complete a lot of these principle's and ideas will stick with me from here on out!